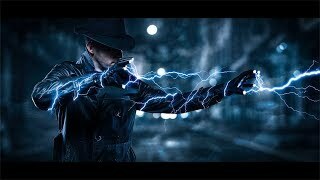 in this fun tutorial I will show you how to create Electricity / Lightning effect in Photoshop to make your images even more interesting. How would you call the style of the photo? I really like this kind of dark alternative worlds like in the game Dishonored, but I can’t quite find the word for it. Wow you just blew my mind. Superb!!! Keep it up! https://www.youtube.com/watch?v=HKOtd87ki9A podes fazer isto??? com um modelo a beber cerveja ate ??? help me please, when I have to "define brush preset" this option is gray not black like the others, which means that I can’t use it. What can I do? Any sugestions??? as a beginner Your video tutorial is very useful, now i can do my customize brushes. it’s helped me a lot to do awesome effects. super cool. great job, i feel more inspire to do photo editing. Very nice effect and tutorial. Thank you. Are you a DC fan? you are the best explainer ever ! Thank you for this tutorial. It’s quite useful. Where is PS saving the newly created presets? Can we do the same on gimp? Can you do a tutorial on mobile? Awesome as always Nemanja! Can you tell me the version of PS that you use? Incredible tutorial, already trying it out, im a noob at photoshop and even i was able to create it thanks to your tutorial!! How to İ find similar photo? Sir please make another chanel of video editing or please make a tutorial on video editing. 🙏🙏 please sir. i am gonna subscribe to the channel the moment he stops saying it ‘epizode’. Great tutorials man! thanks for the tips and tricks. So no light reflections on the human and his clothes from the lighning?